Applying isn’t a leap of faith — it’s a leap into your faith and top-tier academics. Ready. Set. Start your application right here, online. Or download and print an application. Looking to transfer from another university or community college? Let us help you get started on a new chapter in your education. During their time here, Biola students are equipped with the tools and skills they need to excel outside of the classroom. Hear what employers have to say about the Biola graduates they hire. What’s It Like to Be a Biolan? Hear the real stories and experiences of students and get a snapshot of undergraduate life at Biola. Get to know Biola and find out about events, deadlines and happenings around campus on Instagram. There's nothing quite like being here. Engaged with this vibrant community of bright believers. Immersed in the tranquil beauty of the grounds. You'll see. Explore a full range of tour options by clicking the link below — and then visit. Stop by our brand-new Welcome Center in Metzger Hall when you arrive and then get ready to be impressed. It all starts with you making a move — a courageous, life-altering decision to become a part of the next class of extraordinary, intentional, brilliant Biola students. Take hold of your calling and get on the path to discovering the greatest version of you. Don’t worry, you don’t need to go it alone. An entire all-Christian community will be exploring, researching, seeking and finding answers right alongside you. Helping you find your way while you receive one of the finest faith-integrated educations on earth. 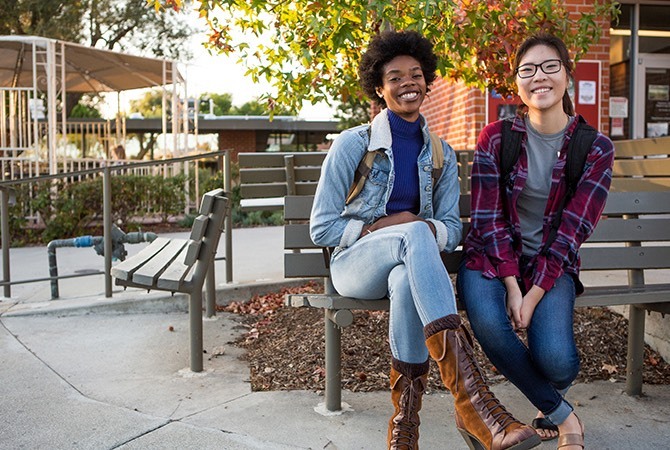 Many students discover Biola and just know right away —this is where they belong. If that’s how you feel, you can always apply early, get an answer early and start making plans. There’s an experienced admissions counselor here, ready to help you make your move to Biola quick and easy. Questions? They have answers. Find and contact your counselor today. There are a few things to do after you’re admitted. Just take them one at a time. And, remember, enroll by May 1.